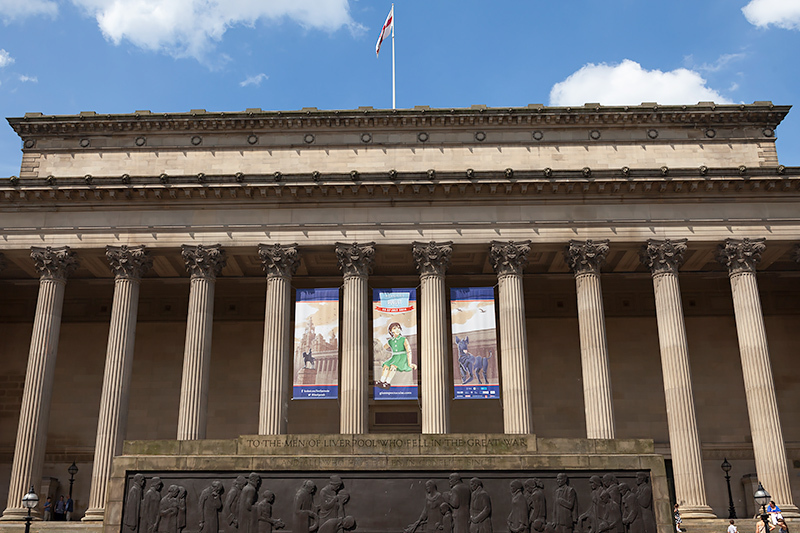 Liverpool Cenotaph outside St George’s Hall. Erected as a memorial to those who died in the First World War. These men were not soldiers. They were friends, neighbours and colleagues. 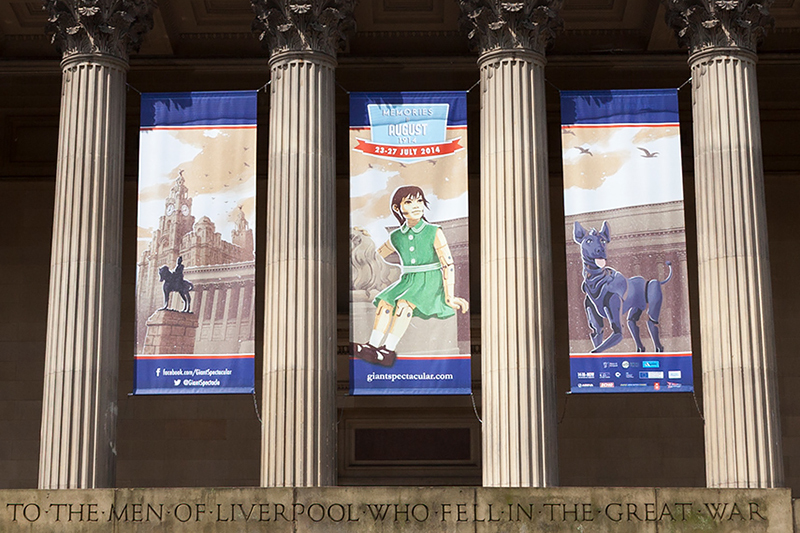 By the end of the war 2,800 Liverpool Pals had lost their lives. Huge casualties meant whole communities and workplaces were changed forever. 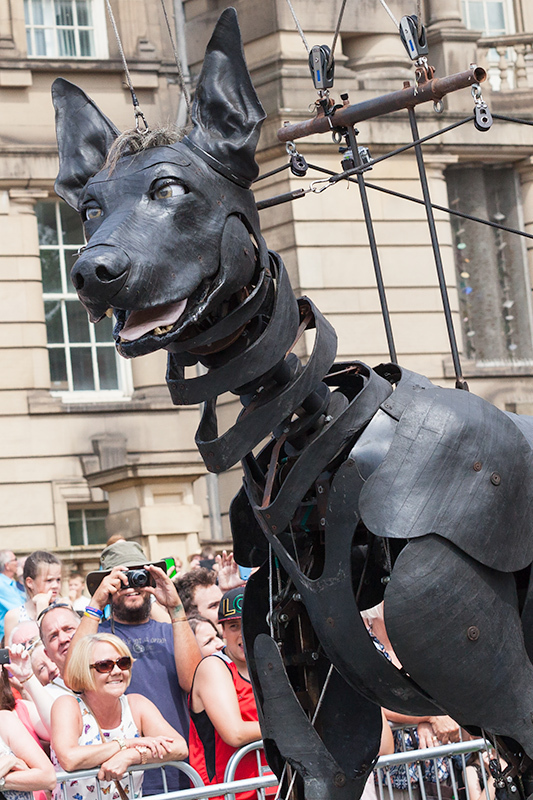 Meet Xolo, the mischievous puppet dog! 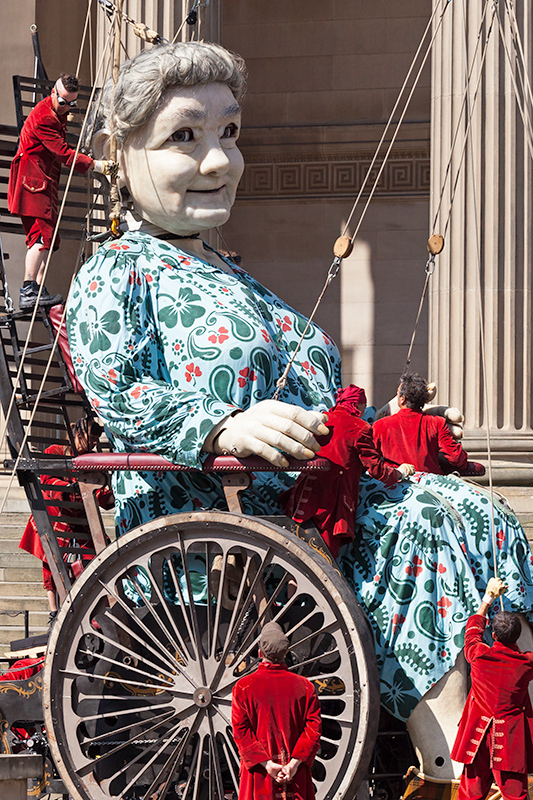 Thousands gathered outside St George’s Hall, all waiting for the Giant Grandmother to stir from her sleep. Over the next few days she would travel the city, pausing to read out stories of wartime soldiers. A loud BANG! and a cloud of sooty smoke announced each reading as a ‘memory chest’ containing tales from Liverpool’s past, present and future was opened. One such letter was tearfully read by an elderly man. The words were written by his grandfather who would never return home. 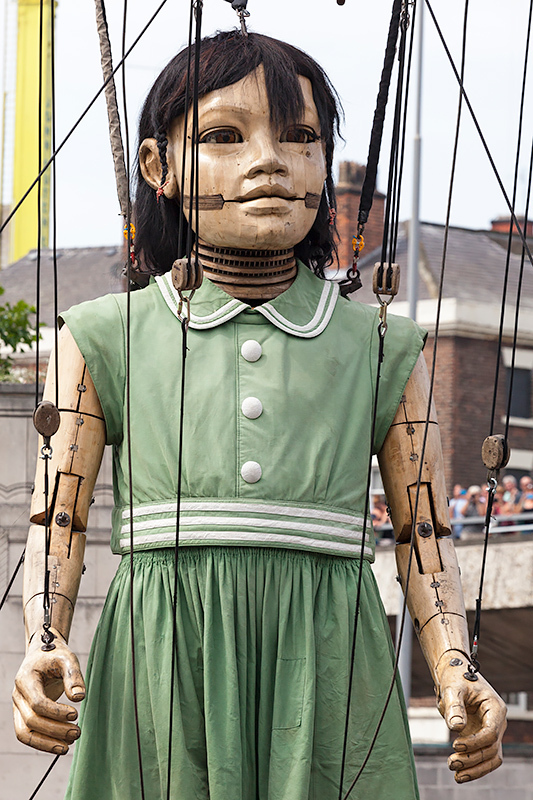 Elsewhere in the city, Little Girl Giant was accompanied by her pet dog, Xolo. 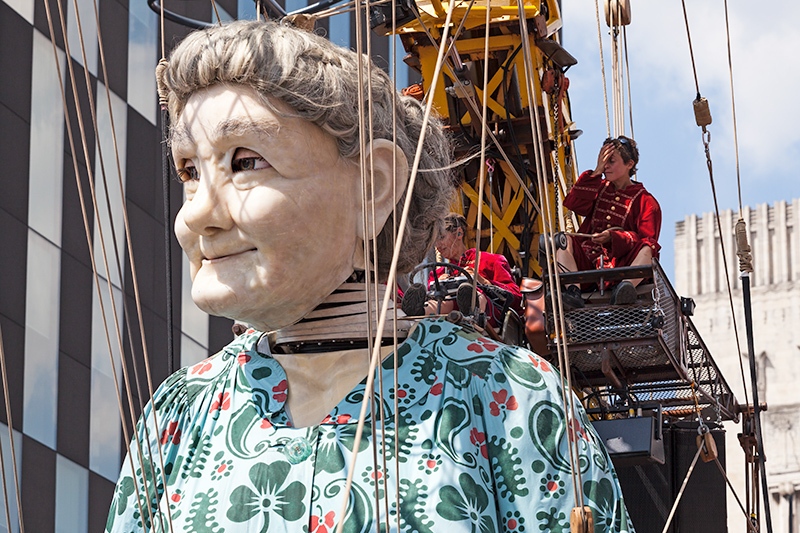 The three giants brought joy and happiness to wide-eyed onlookers of all ages – Grandmother took a cheeky swig of whisky to keep her going while Xolo occasionally stopped to pee and cause chaos! 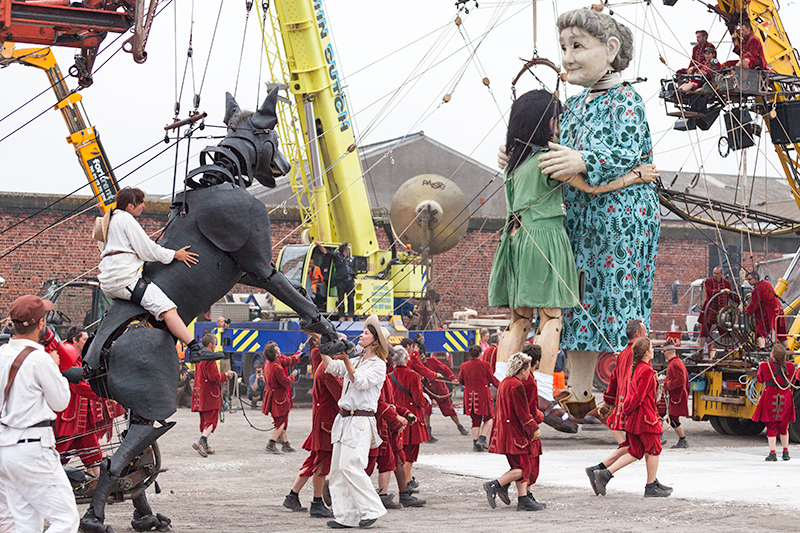 After a long day, the Grandmother and Little Girl Giant finally met to share an emotional embrace and open-air dance. As the dancers departed and day turned to dusk, a smiling crowd began to sing. 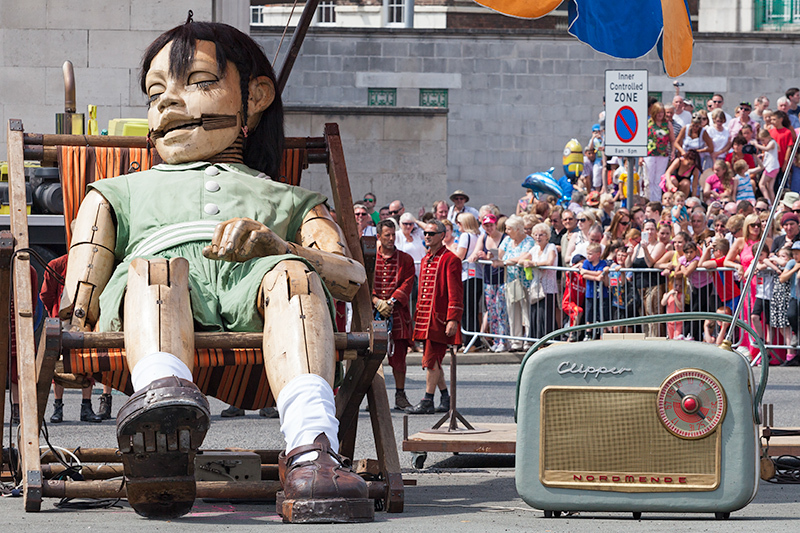 The giants prepared for bed and The Beatles’ Let it Be filled the night sky. 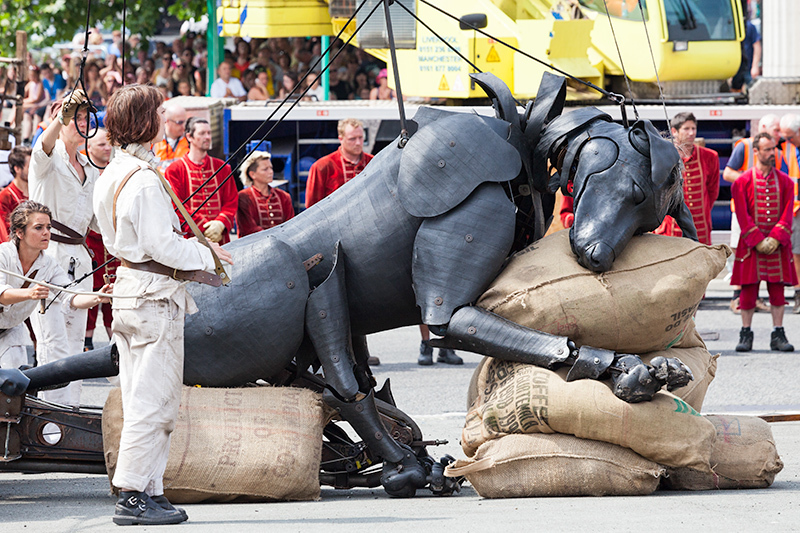 Memories of August 1914 was a special event that will live long in the memory. 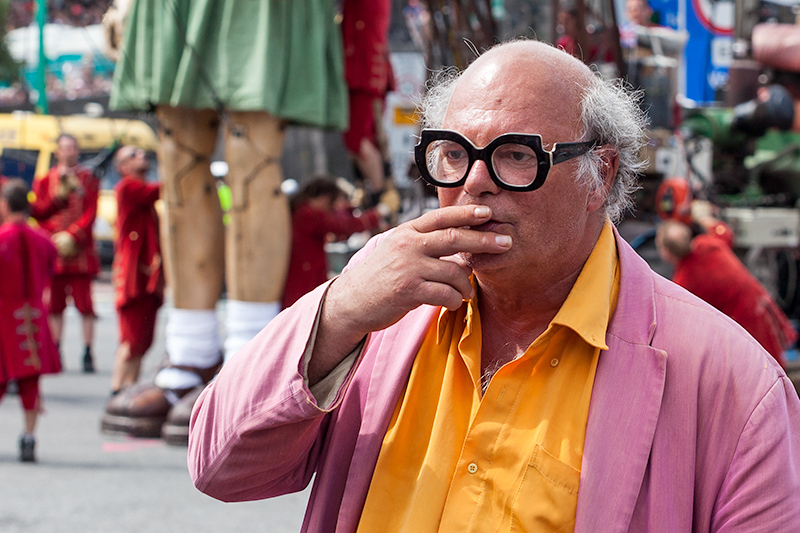 A massive thank you to the creative folk at Royal de Luxe for bringing their magic to Liverpool. 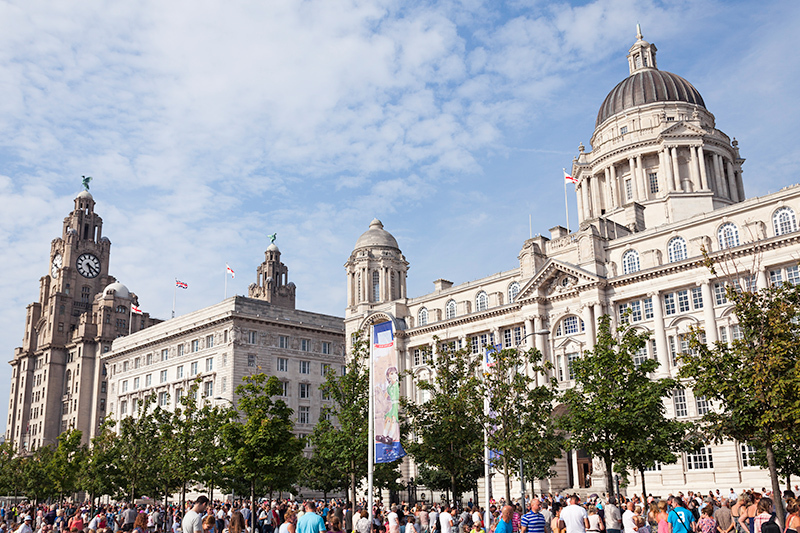 The parade passed many of Liverpool’s famous landmarks including the Three Graces: Royal Liver Building, Cunard Building and Port of Liverpool Building. 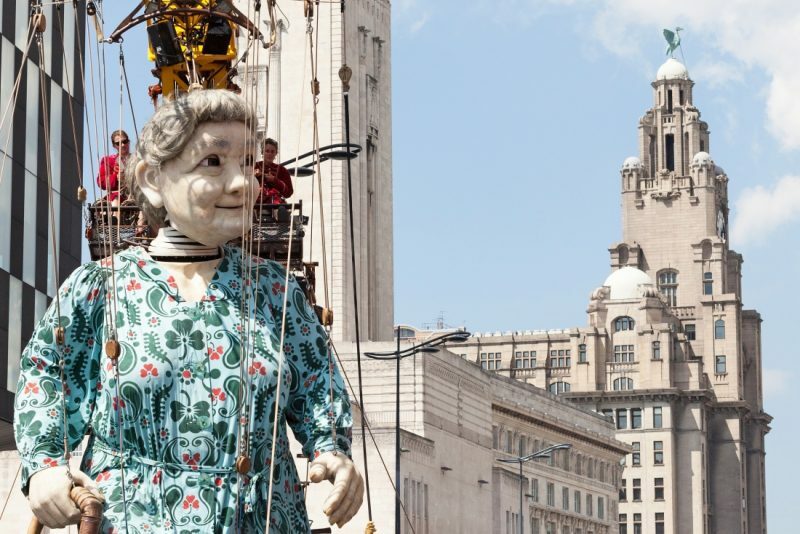 This wasn’t the first time giant puppets have visited Liverpool – and I have a feeling it won’t be the last!